It would be a wonderful world if every cat had a loving home and a safe and warm place to live during the winter. Unfortunately, the harsh reality is that there are millions of stray cats who are living outdoors during the winter. 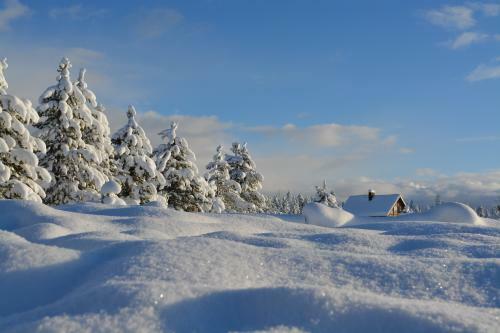 Depending on which part of the world you live in, the winters can be quite severe. Most of us have seen stray cats outdoors during the winter. Or maybe you haven't actually seen a cat but you've seen cat paw prints in the snow. Some people would probably tell you to just ignore these stray cats during winter, but I think that is just cruel. Cats are domesticated animals who usually don't fare very well on their own without human intervention, especially during the winter. Before you feed stray cats, first, make sure it isn't illegal to feed stray cats where you live, because believe it or not, in some places, feeding stray cats is not allowed. If it is legal, then dry food works best in winter unless you know that the cats will eat the food you put out immediately. If canned cat food sits outdoors it generally freezes which will make it hard for the cat to eat it. For more about the pros and cons of feeding stray cats click: here. Cats, like all living creatures, need water. The problem with water in the winter is that it freezes into ice. Use dark colored pet bowls and place them in the sun during the day. Use rubber pet bowls because it takes the water longer to freeze than other types of bowls. Fill the pet bowl with warm water so it takes longer to freeze. Use a heated pet bowl - hard to do outside though. Use Larger pet bowls - larger bodies of water take longer to freeze than smaller ones. Stray cats will need some place where they can shelter. Shelters can either be bought, or these can be made. My father actually built the stray cats on his property a little heated outdoor cat house. Of course you don't need anything as elaborate as that - even something simple will do such as shown in the following You Tube video at the bottom of this article. You could even use an existing structure, such as a garage. Just make sure to put blankets out there for the cat to sleep on or in. Of course for the cat house to be heated you will need to hook it up to an electricity source. 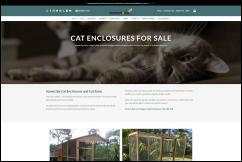 Somerzby cat enclosures allow your cat to go outdoors while keeping your cat safe. 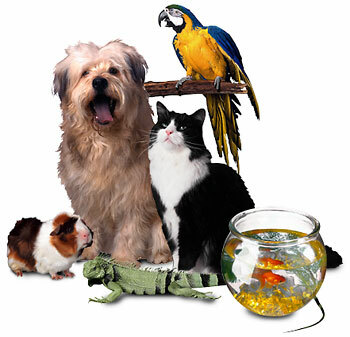 How to Reduce the Cost of Owning the Pet? My Big Cat Breaks All of Its Toys, What Now? Did You Know That Cats Can Benefit Naturally from Hemp Products? Does Your Cat Like to Drink from the Water Faucet? Watch the above You Tube video to learn how to build your own outdoor cat shelter. Black Cat Favicon from http://www.favicon.cc.